Back in February, the owners of Board Game Barrister and 42 Lounge announced a new geek-tastic venture, Oak & Shield Gaming Pub, which would take over the space formerly occupied by Karma Bar & Grill, 600 E. Ogden Ave. A patio, food, a removable stage, and plenty of board games and video games and card games and trivia nights and karaoke and DJs and live music were promised, as well as the continuation of 42 Lounge in Oak & Shield’s lower level. Now, we know when this glorious hybrid will open: May the Fourth (be with you). Ok, maybe that’s being too kitschy about something that is already geeky. 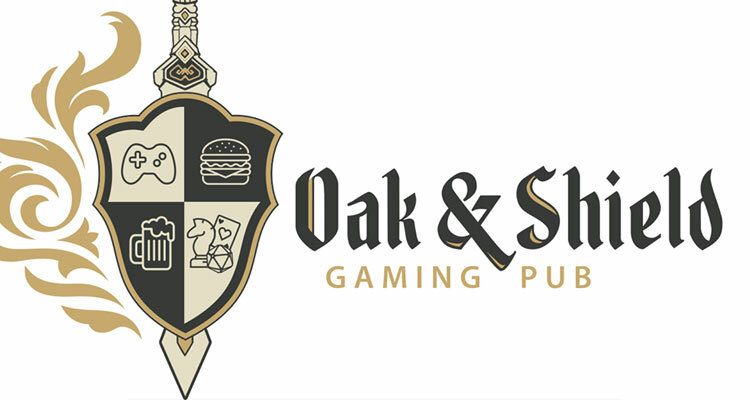 But that is indeed part of what the Oak & Shield is all about—bringing people together with food, games, and geek culture. And we can now say when it will all begin: May 4, 2018. Lugauer goes on to say that some things may not be ready by the Fourth (for-sale board games, for one), though he does offer a surprising (and wonderful) tidbit: Oak & Shield Gaming Pub will be all-ages until 10 p.m.
Young wizards? Is this an all ages establishment? You betcha! The Oak & Shield will be all ages daily until 10pm. From 10pm until close, you have to be 21 years or older to continue gaming. So say we all. Or, so says city licensing. Nice! We can’t wait! Until then, um, here’s that weird/awful Dragonlance cartoon they made back in 2008.